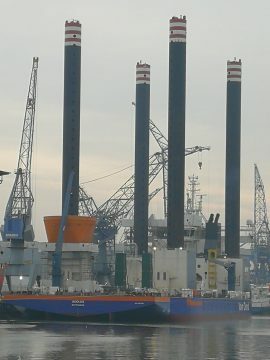 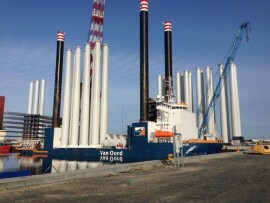 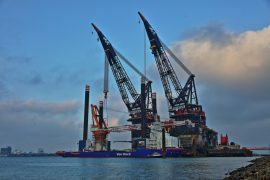 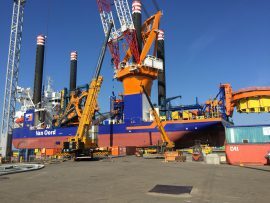 Van Oord’s freshly upgraded jack-up Aeolus is currently undergoing final preparations at the Port of Vlissingen, the Netherlands, prior to heading out to the Norther offshore wind farm to install the first monopile foundations. 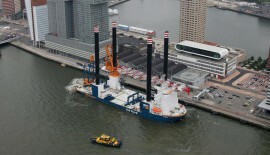 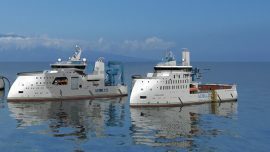 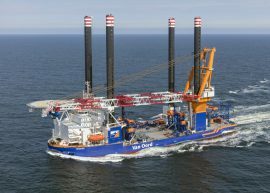 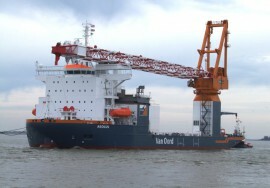 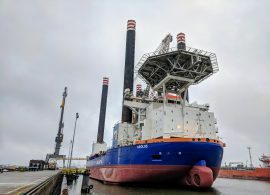 Holland Shipyards delivered an accommodation block for Van Oord’s Aeolus in February, along with a Helicopter Operation Reception Room Facility (HeliLounge). 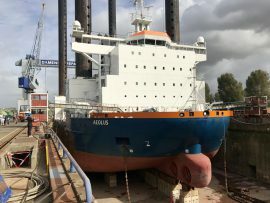 Van Oord’s vessel Aeolus is currently docked alongside Damen Shiprepair Rotterdam facility, where Huisman is preparing the vessel for the installation of a new 1,600t crane, after Aeolus has been fitted with a stronger, broader deck. 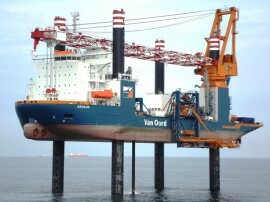 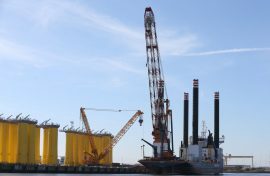 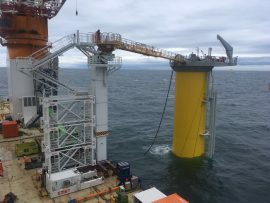 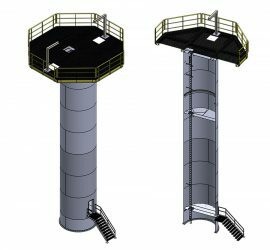 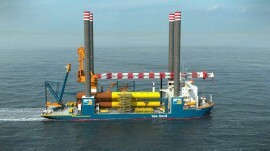 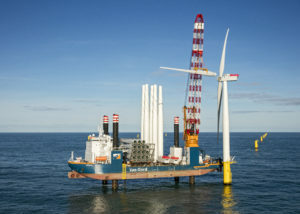 SMST’s Telescopic Access Bridge M Serie – including flatrack and telescopic pedestal elevator system – has been installed on Van Oord’s offshore installation vessel Aeolus, deployed on the Walney Extension offshore wind project. 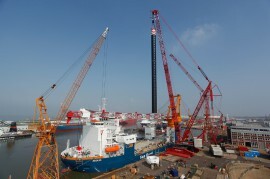 The first landing took place on 24th June, after an installation period of 3.5 days. 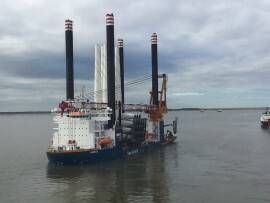 The installation vessel Aeolus has arrived at Belfast Harbour ahead of the foundation installation works at the Walney Extension offshore wind farm in the UK.